Two Sisters From The Right extend a warm welcome to Mr. Barnard L. Sackett who returns to our pages today with an insightful analysis of a world he knows all too well. 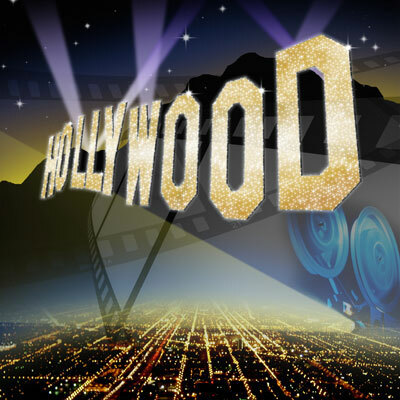 Mr. Sackett's experience in Hollywood, Broadway, and the entertainment field gives him expertise in a world which we customarily see only from afar. Two Sisters have frequently expressed our dislike for the influence that so called celebrities have on our politics. However, we do need to acknowledge that they also influence, not only our society, but our younger generations as well. We have indeed become too accepting of the often bizarre and unconventional behavior of people who simply are not worth the adulation. And so, while Beyonce publicly and emphatically announces she separates her private life from her music, that what goes on between she and her husband is not for the eyes or ears of the media, she still announced her pregnancy at the Video Media Awards. Was she hinting for an anticipated baby shower thrown by her fans and followers? Or does such a pronouncement state that it has been ordained that this child is pre-destined to become the next Dr. Martin Luther King or Morgan Freeman or George Washington Carver? Or perhaps becoming this year’s millennium’s Madame Curie, Margaret Thatcher or Halle Berry? Was it tasteful to announce to the world there was the savoring of a past romantic evening? We all know it takes two to tango. So where’s the surprise? I imagine it did bring smiles to those faces who relish memories of personal climaxing moments with their loved ones. But does such an announcement require an audience exploding with a cacophony of whistles and cheers and wild slapping of the hands? Is this a required homage to an entertainer for giving in to hormonal instincts? What about the millions of other developing mothers, should they, too, not be honored by a round of adulation, too. These mothers could be the bearers of another Abraham Lincoln, Albert Einstein or Steve Jobs. The madness of celebrity adoration continues unabated. Especially teenage girls over loosing their gushing cookies, their sense of pride and good taste salivating over an androgynous Bieber, a chameleon Gaga or reincarnation of Brittney Spears. I wonder what memories will be retained of their infantile madness that added nothing to their emotional growth or intellect. Apparently, it’s a conscionable thing to vocally explode for the spirit of the moment becoming part of an over enthusiastic maddening crowd. What I cannot understand or comprehend, where are the public relations on things that truly matter? Where is the shouting, screaming, yelling and applauding over scientists who have found new vaccines to avoid dreaded ailments? Over inventors who have developed dynamic new products that makes life more pleasurable and comfortable. Why is there no fawning over farmers who slave many hours to bring varied crops to the supermarkets? Do we simply take the real movers and shakers of this world for granted. They have skills that rarely hit the front pages. Though there are the Nobel prizes. These are the people who nurture a better life for us all. These people, never gain the respect, the accolades, the media coverage they truly deserve. Without piano makers there would not be the musical instruments for Jerry Lee Lewis to destroy, the background instruments that support the singers and dancers, the designer and colorists of fabrics that keep Lady Gaga making kookier costumes. What it boils down to is either being part of the crowd or being honest with who we are, and having no fear to being challenged for standing up for what you personally believe. For too many, it is easier to say nothing rather than risk be shunned by friends, neighbors and politicians. So it is with the crazy madness that erupts when an organized press assault our senses and purportedly announces a new teen throb of the moment. It doesn’t really matter if the new idol can really stay in tune, as long as the idol of the moment dresses well, has properly coiffed hair, sports a teen friend, forever smiles, and has a retentive memory to belch out rehearsed kind words and dares not to be touched by another human being, unless bombarded by those who pay for the privilege of mauling you. Major profits from perfumes, jewelry and clothing lines or any other product that handlers and managers can imagine being profitable for their charge. And to what pulsating sound do these young ones listen. Do they truly understand the mumbled words being sung? How many times must they replay the record to make sure they hear every syllable? I gave up thinking my hearing is going bad when a rapper momentarily appears in some news event, or I accidentally tune into a music award show. They should all be enrolled in a speech class. Whatever happened to the pulsating music and clever lyrics of Rogers and Hart. Gershwin. Frank Loesser. Cole Porter. Motown. The Golden Age of Music. Are these uplifting melodies the dinosaurs of music past? Or must we accept these new troubling sounds because this is the Now of Today! Frightening. And most discouraging. Perhaps if there was some considered quality restraint by publicists to feed the press with less impressionable garbage, and be more uplifting in their approval of accepting well-healed clients, we wouldn’t be sliding into a tone deaf period and questionable thought-provoking citizens of the future. We must voice our discontent. Otherwise, society as we would like it, will slowly sink into an abyss. We must maintain good manners, a touch of class and professionalism and remember the importance of respect and responsibility . We will have no one to blame but our own indifference to on-going acceptance in lack of taste, culture and demoralizing indifferences towards others. I hope that God remains in our hearts, and that he will bless us all and Tiny Tim.